Nobody likes to be misunderstood. This isn’t the beginning of an emo song but rather a guide to help you understand some important, but often misunderstood, metrics in Google Analytics (GA). Bounce rate, pages per session, average session duration. You’ve heard these terms but likely have a varied understanding of how they work. GA puts these three metrics in more than half of their reports. They are important and help make these reports more usable. But before you can put them to good use, you first need to fully understand what they are, how to put them into context, and know what to look for to piece together a complete data picture. Today we’re going to focus on bounce rate. In a future post, we will cover pages per session and average session duration. What actually affects bounce rate? With a standard GA setup, site-level bounce rate is defined by the number of single-page sessions (bounces), divided by the total number of site sessions. If you are tracking Events in Google Analytics like carousel scrolls, video plays, or other interactive on-page elements, you have the power to “redefine” bounce rate, and tell GA that users who complete these actions should not be counted as bounced, even if they only visit one page. As our landing pages become more compelling, and users can get the information they need from a single-page visit, our definition of an engaged user must evolve. Event tracking, and its influence on bounce rate, can help us paint a clearer picture of what an engaged session looks like. Not tracking events? This type of custom of tracking in GA may require support from your web developer or digital partner. (If you're interested in learning more about a custom implementation, sign-up for a free 30-minute GA assessment). Additionally, it’s important to contextualize this metric. Don’t forget to consider your digital marketing campaigns when you’re analyzing bounce rate. The type of traffic you’re sending to the site can impact bounce rate. For example, if you’re running a big acquisition campaign, you’re probably sending a lot of first-time visitors to the site who are more likely to bounce since they are unfamiliar with your website and organization. Always look at bounce rate in the context of your marketing initiatives, and consider some other metrics to define campaign success: new users added to remarketing pools, scroll depth on landing pages, video views, etc. Pro tip: Use annotations to note big events or campaigns that may cause fluctuations in your site data. A low bounce rate is a good thing, right? 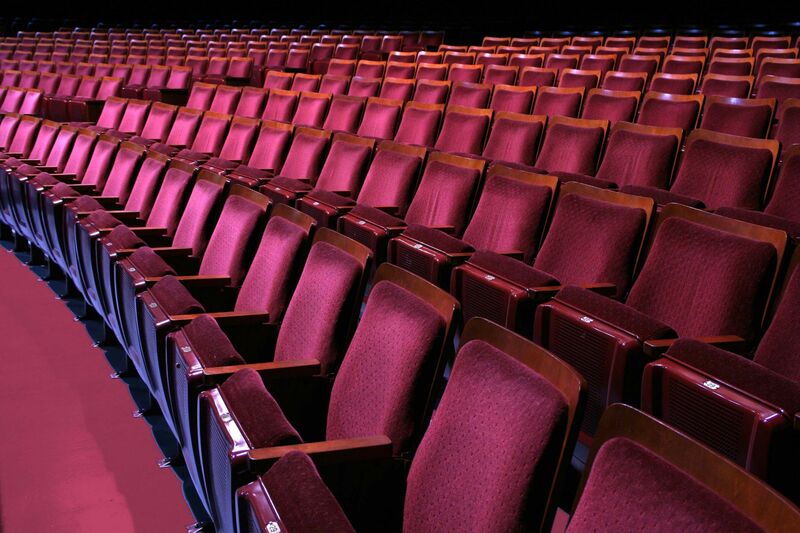 A healthy bounce rate for arts organizations is anywhere between 30-50%. If yours is a little outside of this range, that’s fine, as these numbers are difficult to benchmark accurately. If you have a bounce rate under 10%, however, that should be a red flag, not a cause for celebration. A very low bounce rate is indicative of a tracking issue on your site -- likely that you have the Google Analytics Pageview Tag placed more than once. My bounce rate is too high - am I a terrible marketer? A bounce rate upwards of 70 or 80% doesn’t always mean you are a bad marketer. More likely, it’s a sign that GA thinks users are leaving the site when they aren’t. Do you have a separate ticketing site or subdomain? It’s possible your account is not configured properly for cross-domain tracking, so GA is losing track of those sessions when they leave to purchase or navigate to your additional subdomain. Some of my pages have crazy high bounce rates - do I need to redesign them? When analyzing bounce rate at the page level, you should consider if individual pages are meant to be landing pages on your site. The definition of bounce rate at the page level is number of sessions leaving from the same page they enter on, or page bounces divided by page entrances. Always consider the percentage of entrances that page makes up. You may see that the Shopping Cart has an alarming bounce rate, but if you look at the Entrances column, no one is entering on that page, and you’re probably not sending a lot of traffic there. Sort by Entrances to make sure you’re analyzing Bounce Rate for your top entry pages first. What is the difference between ‘Bounce Rate’ and ‘% Exit’? A page’s bounce rate is the percent of sessions that enter on a specific page and leave without visiting another page. % Exit is the percentage of pageviews where that was the last page in a user’s session. Pro tip: If you’ve forgotten how a metric is defined, hover over the ‘?’ for any metric to get its official definition. 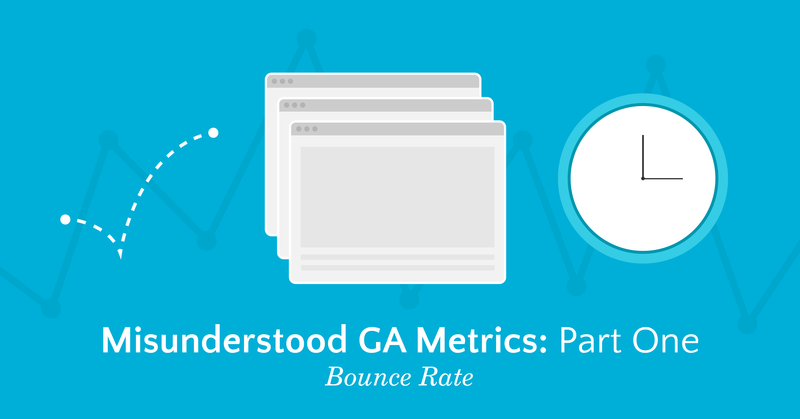 Stay tuned for the second part of our misunderstood GA metrics series where we will focus on pages per session and average average session duration.